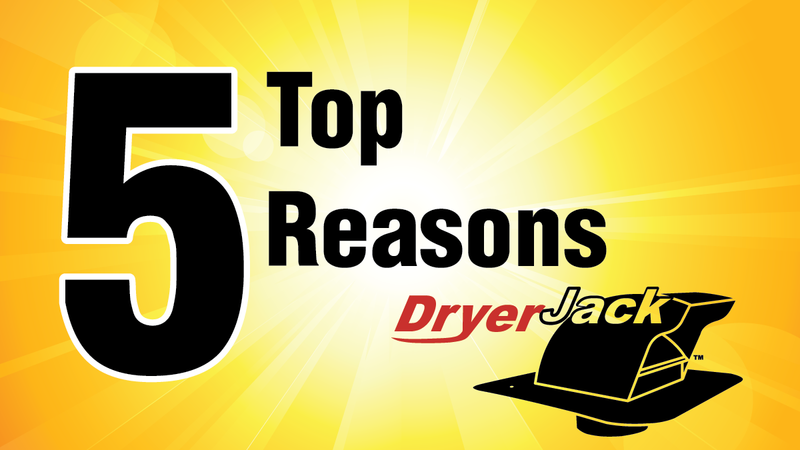 Here are the top 5 reasons to install the DryerJack. DryerJack allows your dryer to blast lint out at top speed with maximum airflow efficiency. DryerJack's angled and curved damper helps keep animals from nesting in your dryer's exhaust termination. Made of steel and powder-coated, DryerJack will withstand harsh weather conditions. DryerJack is code-compliant and allows easy cleaning access. DryerJack is proudly made in the USA.